With different table and chair options, you can mix and match to create the perfect look for your home. This beautiful parson style dining side chair will be a lovely addition to your contemporary dining room. The high sleek curved chair back and plush padded seat is covered in a soft and durable microfiber fabric, available in four colors to complement your decor. Chocolate, Gold Ochre, Terracotta, Taupe, or Light Green upholstery sits above square tapered legs in a rich dark Cappuccino finish. 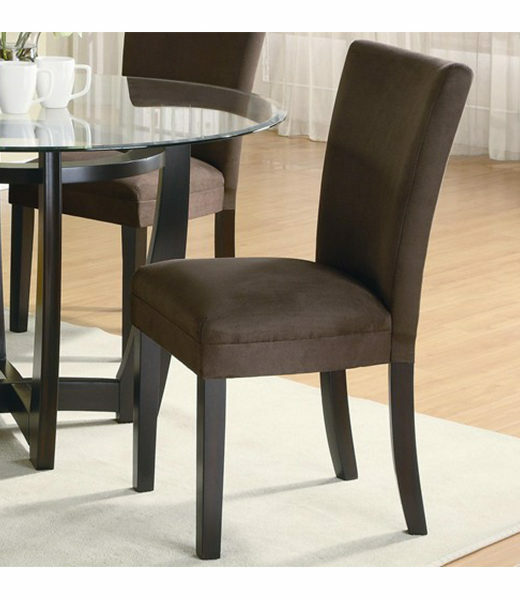 Pair these chairs with a table from this collection for a stylish update in your casual dining room. The Bloomfield collection will give your contemporary casual dining and entertainment room a bold update. With different table and chair options, you can mix and match to create the perfect look for your home. 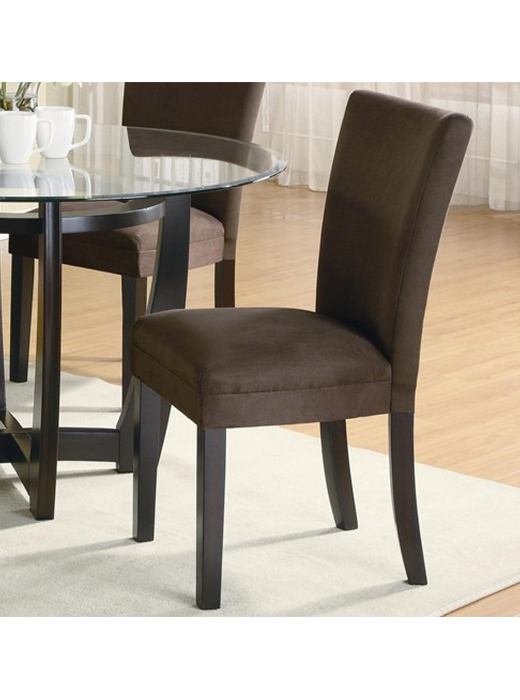 Smooth wood table frames have a rich dark Cappuccino finish, with sophisticated beveled glass tops. Four bold colors of soft and durable microfiber on dining side chairs and bar stools help you create a fun look that fits your personality.